"What if…What if we held our first-ever E3 press conference, but instead of announcing Fallout 4 there we just pushed the announcement out two weeks early?" Yeah, I don't get it either, but apparently that's what's happening. This morning Bethesda launched a countdown timer with the familiar "Please Stand By" Fallout test pattern, and it's counting down to…tomorrow. 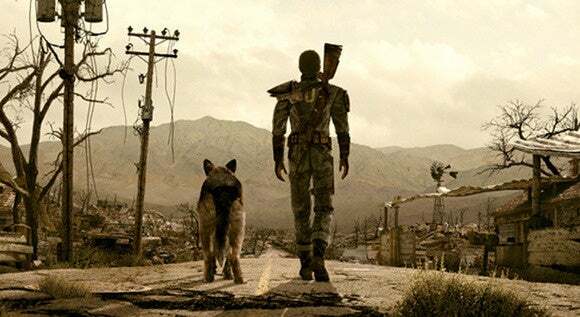 It's hard to imagine it means anything except the long-awaited RPG sequel Fallout 4. If so, it's a bit of an anticlimactic end to months of hype (in my opinion). I don't know why you'd set up a press conference and shroud it in mystery, only to spoil your biggest "surprise" early. But hey, I'm no marketing team, so what do I know? Regardless, it's Fallout 4. It's one of the most anticipated games in recent memory. I'm letting myself get just a little excited about this. We're sure to see more of Fallout 4 at E3—it now seems like a pretty safe bet it exists. The latest rumors have said the trailer we'll see at E3 was made by Guillermo del Toro's production company, and that we'll see half an hour of footage. Whether that's actually true is anyone's guess. 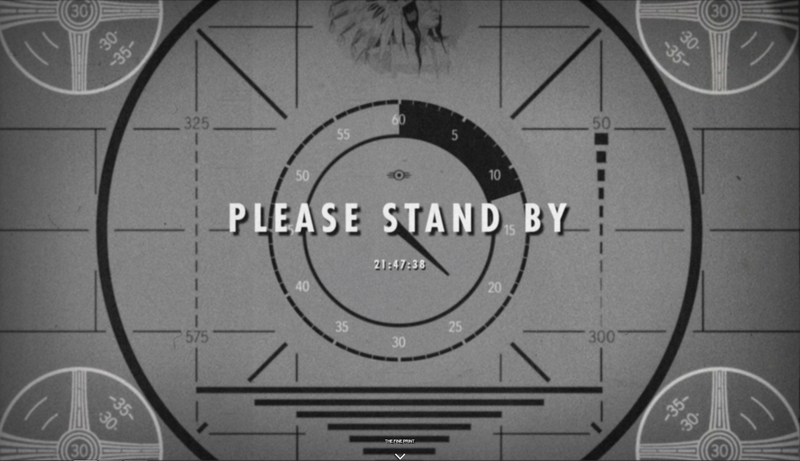 We'll update you as soon as we know more about tomorrow's reveal—Fallout or not—and then make sure to check out the site on Sunday, June 14 for news from Bethesda's press conference.